New collection! 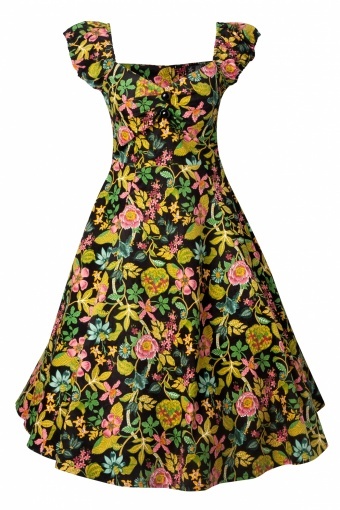 The 50s Dolores Doll swing dress Winter Hibiscus from Collectif. 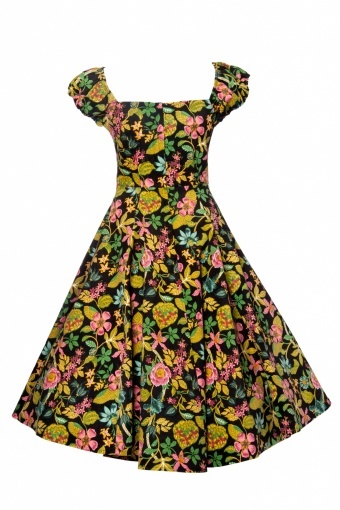 This is a fun cap sleeve stretch cotton swing dress in a beautiful warm and soft velours/baby roi fabric with stretch in a colourfull floral print. Super cute and sassy with a small pucker in the bust and a back zipper. 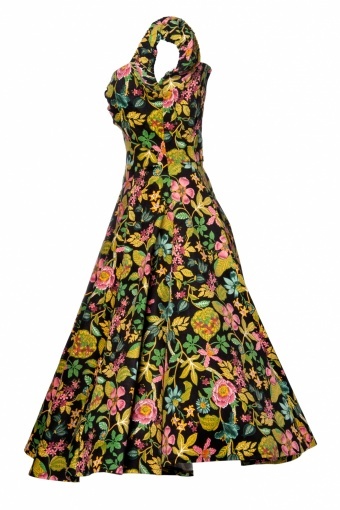 Fitted top and wide swing skirt, can be worn with a petticoat.